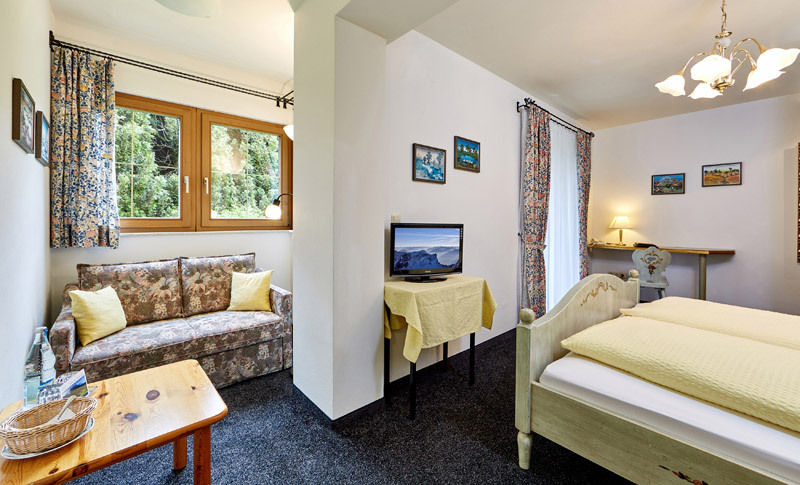 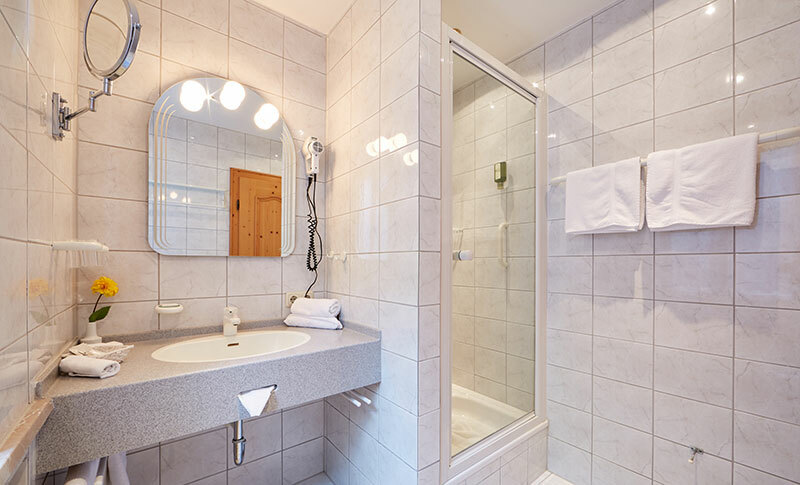 Our Waxenstein category features exclusive rooms with bay windows or comfortable sofas. 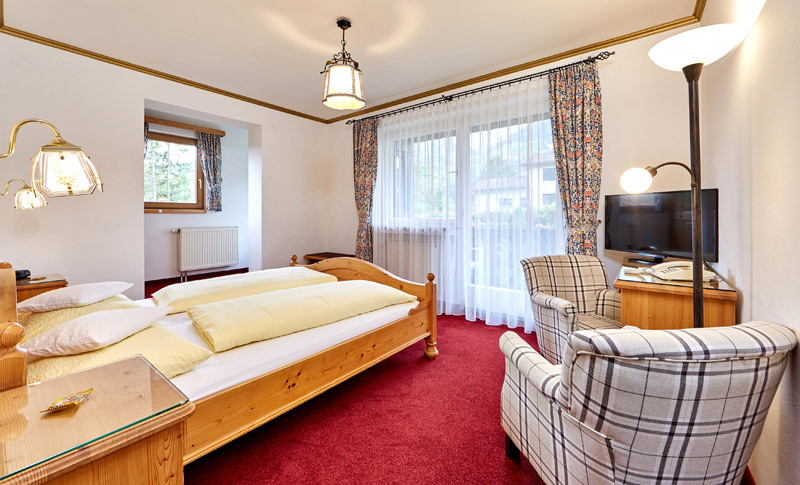 A large double bed guarantees a good and relaxing night’s sleep. 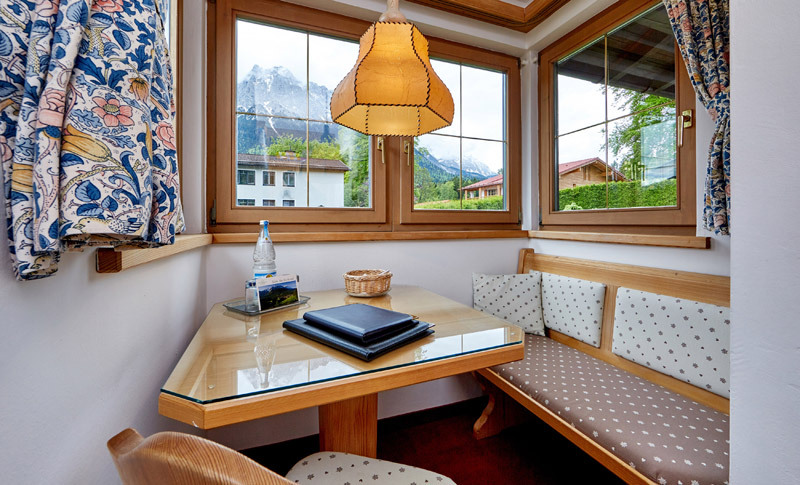 You can also enjoy stunning views of the Zugspitze and the other mountains surrounding the hotel from your private balcony or terrace. 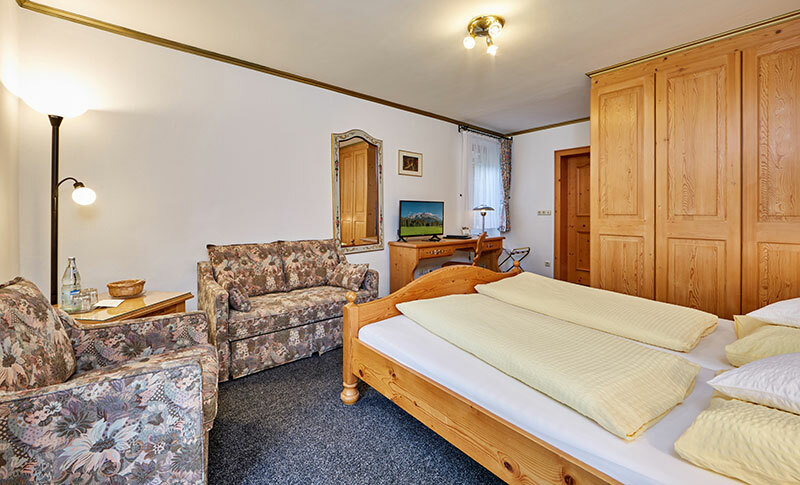 Hand-painted rustic furniture is one of the special highlights of the rooms in the Waxenstein category.